What Do Bail Bondsmen Do? Most people who have been charged with an offence know exactly how important it is to be able to rely on a trustworthy bail bond agent who can guarantee their freedom when they’re facing some jail time. So what do bail bondsmen do, and how could one identify the best agent operating in this line of work? Basically, all bail bondsmen will ask you to pay them a fraction of the total value of your bail (approximately 10-15%, in most cases). 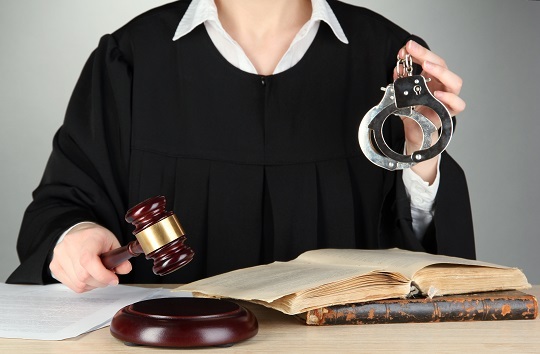 Instead of taking the entire amount out of your own pockets, you give this small percentage to your bail bondsman, who will vouch for you, guaranteeing that you will be present in court each and every single time the judge solicits your presence. 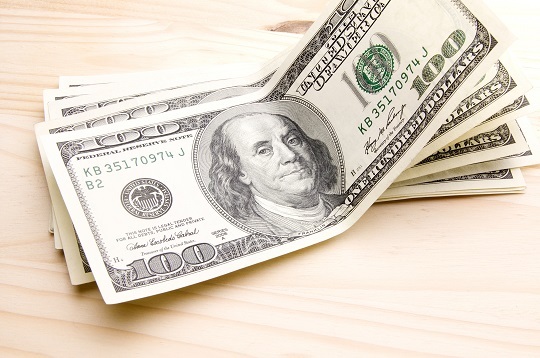 Assuming that the total value of your bail is $10,000, normally you would only have to offer $1,500 to your bondsman. Defendants who show up in court when they are summoned by their judge end up paying only $1,500, an amount that is non-refundable. How can bail bondsmen vouch for criminal defendants? One might be wondering: What do bail bondsmen do, and how do they manage to count on significant amounts of money in the blink of an eye? Bail bondsmen have an agreement with the local court representatives, and they put a so-called “blanket” bond on the table that they are forced to pay in case the defendant fails to appear in front of the judge, for one reason or another. Bail bond agents can come up with the bond blanket at any given point in time, because most of them have arrangements with financial institutions and insurance companies. The co-signer (which could be a friend or a family member) or the defendant him/herself should offer a guarantee (also known as collateral), proving that he/she would be able to pay the whole bail if the accused were to skip court at some point. In case the bail agent has a hard time trying to locate the defendant, the co-signers are immediately forced to pay the entire bail out of their own pockets, plus expenses recorded by bondsmen while trying to contact the accused. Need a bail bond agent? So what do bail bondsmen do? 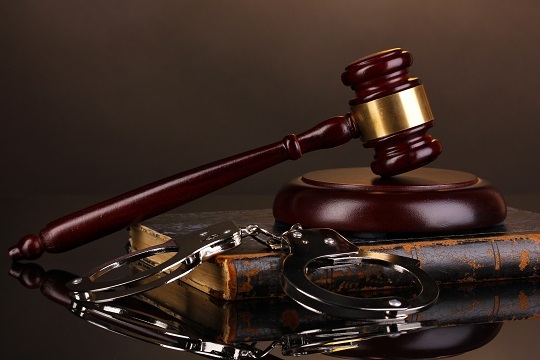 They basically vouch for the defendants, based on a contractual arrangement and on a fee representing up to 15% of the total value of the bail, guaranteeing their presence in court. If you want to collaborate with one of the most reliable bail bond agents in your area, use TalkLocal to be connected with up to three professionals in your area in just minutes. There are seven different types of bail bonds available in this country, ranging from cash bail to federal and immigration bail bonds. Below is a list of all seven bail bonds categories, including a short description of each. 1. Citation Release: A citation release is granted when an officer arrests a suspect but releases them immediately, issuing a citation ordering them to appear before a judge on a specified date. A good example of a common citation release is a traffic ticket. 2. 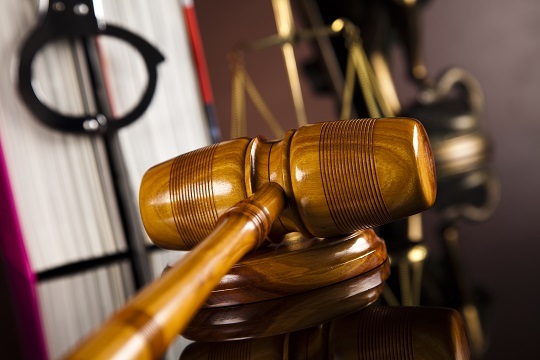 Recognizance Release: This is when a person is granted release on their own recognizance on the basis of their signed pledge to appear before the court on an appointed date. 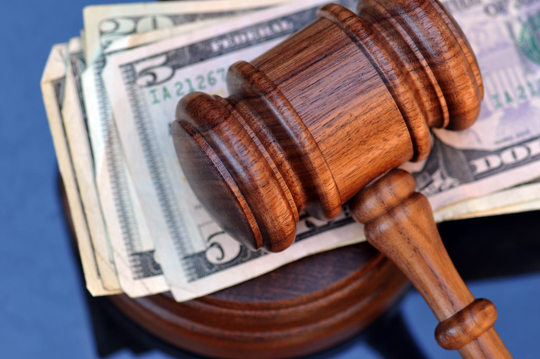 Although no payment needs to be made to secure the release, the court does set a fee that will be collected in case the defendant does not show up for their court date. 3. Cash Bail: This type of bail bond is ordered by the court if the defendant is thought to be a flight risk. A cash amount is set that has to be paid before the defendant can be released, although in most cases the sum is so high that the amount cannot be paid. 4. Surety Bond: Of the different types of bail bonds available, the surety bond is perhaps the most common. A surety bond is usually secured for the defendant by a third party via the services of a bail bondsman. The third party works with the bail bondsman to come to an agreement about loan terms and release stipulations. Some form of collateral is put up for the loan, and the bail bondsman secures the defendant’s release. 5. Property Bond: This is a very specialized type of bail wherein property is used as collateral against the bail. Any type of property may be used as long as the person putting up bond has full rights to the property or is authorized to use it for the bond. The only stipulation is that the value of the property has to be twice the amount of the bail, at a minimum. 6. Federal Bail Bond: A federal bail bond is applied only in cases of federal crimes that lie outside the purview of state authorities. This type of bond requires a person with proven assets to sign an agreement with the court to the effect that they will repay the bail in the event that the defendant jumps bail. 7. Immigration Bail Bond: This type of bond is reserved for illegal aliens who require bail. The processing of an immigration bond goes through a number of federal offices, making it the most expensive of the different types of bail bonds. If you need a good bail bondsman in your area, TalkLocal can help. We can refer you to top-rated bondsmen and attorneys in your area through our free referral program. Don’t wait – come check out our website today. Run-ins with the law are no fun to deal with, but they are particularly stressful if you don’t completely understand the terminology or how it all works. If you find yourself wondering: What is an appearance bond? Check out this quick guide to help. The most basic definition of an appearance bond is money you pay to get out of jail under a promise that you will appear in court at your scheduled court date. If you get arrested for something, you might not be able to go to court immediately. Often times, there are at least a couple of days before your court date. By paying an appearance bond, you get to leave jail under the promise that you will come to court. The price of the bond is based on what you have done. For example, someone who has had a small altercation or was arrested for a misdemeanor will have a much lower bond than someone who has committed a felony. You are not always guaranteed the opportunity to pay an appearance bond. If you have done something very serious, or if you are deemed a danger to society, you may be kept in prison to avoid anything else from happening. Often, people who are accused of committing violent crimes have to stay in jail. Usually, if you do have to stay in jail, your time served is taken out of your sentence if you are found guilty. For example: If you are sentenced to two years in prison, but you spent six months in jail since you didn’t get an appearance bond option, you’ll likely only spend an additional one-and-a-half years in prison. If your bond amount is not determined immediately, you are entitled to a hearing to set a bond amount within 72 hours of your initial arrest. This is usually when judges determine no appearance bond option is available if necessary. If you find yourself stuck in a legal pickle, you should seek professional help to insure that everything is done properly and in your best interest. TalkLocal can connect you with the professionals in your area who can help. We give you access to lawyers, bail bondsmen, and a long list of other professionals. If a person is found guilty in a criminal or civil court of law, they can still take further action to prove their innocence. If the person believes they were wrongfully convicted, they can file an appeal, which will essentially push the “restart” button on the entire case and both sides will make their arguments once again in court. Appeals can make for very time-consuming trials, which tie up local judges and courtrooms. This costs local governments money. So, in an attempt to limit convicted individuals from filing an appeal even though the case does not merit one, a judge can use criminal appeal bonds as a tool. What Are Criminal Appeal Bonds? When a judge requests a criminal appeal bond, they are asking the man or woman who is filing the appeal to put up money that would cover the cost of the appeal if they were not successful. 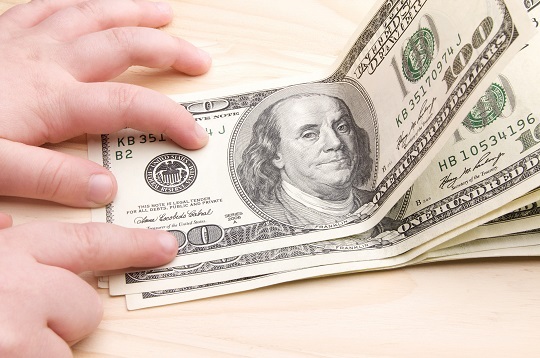 Criminal appeal bonds can also include the amount of money awarded in a verdict during the trial. By forcing convicted individuals to invest money into their appeal, it will hinder people from appealing when they know they have no chance of winning, but are simply trying to prolong the process. When Are Criminal Appeal Bonds Used? Like traditional bail bonds, these are normally only required when the judge allows a convicted man or woman to go free from jail pending their appeal on criminal charges. Again, just like normal bail bonds, the convicted individual must prove to a judge that they are not a flight risk and that they are willing to show up at court for all of the necessary hearings. Depending on which state you live in, the bond might include a number of specific conditions as well. If the individual pleaded guilty or no contest during the initial criminal trial, but then appeals the decision, they are not likely to be released from jail pending the appeals process on a criminal appeal bond. Not sure who to turn to for such a service? We do. Try TalkLocal. Our service can connect you with all the necessary professionals in your area that are eager to help out. A bail bond can be the difference between freedom and incarceration. If you do not have enough money, you might find yourself locked behind bars, waiting for months to finally get in front of a judge to plead your case. The same applies if you have a loved one who has been arrested and is sitting in jail. Unfortunately, when it comes to bail bonds, there are no short cuts. Even though you might be inundated with ads on the Internet that offer cheap bail bonds, or bonds that are heavily discounted, these services simply do not exist. Going along with one might even be a scam. The amount you are required to pay is in direct correlation with the criminal offense with which you are charged. If the crime was a relatively minor one, then there is still hope that you will only require cheap bail bonds to walk free. Who Decides The Amount Of A Bail Bond? A judge generally sets bail for a suspected criminal. Some areas have a concrete schedule from which they determine the bail amount. The bail amount will dictate how cheap or expensive your bail bond will be. The bail bondsman will pay your bond and you will generally pay them 10 percent of the bail amount for their services. 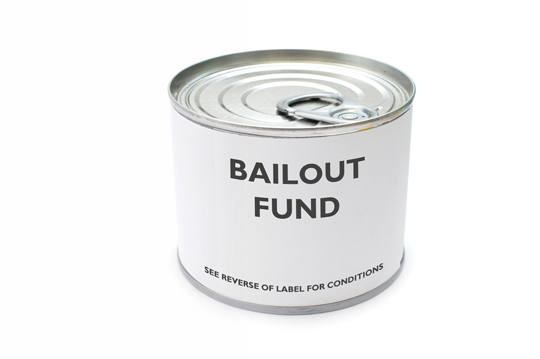 Are 10 Percent Bonds Available To You? If your area’s law enforcement offers a 10 percent bond, you might consider taking it. This would be considered amongst the legitimately cheap bail bonds. These types of bail bonds are generally used in areas that restrict the use of third-party bail bondsmen. This means that you are solely responsible for paying your bond. However, a 10 percent bond simply requires you to pay 10 percent of the total bond to get out of jail, pending future court appearances. Once you show up to those court appearances, the amount is then returned to you. Again, these types of bonds are generally reserved for those who have committed minor offenses and prove they are not a flight risk or a risk to fellow members of society. If you or a loved one desperately needs the help of a bail bondsman, TalkLocal can connect you with one. Stop leafing through the phonebook and simply type what you are looking for into our website. 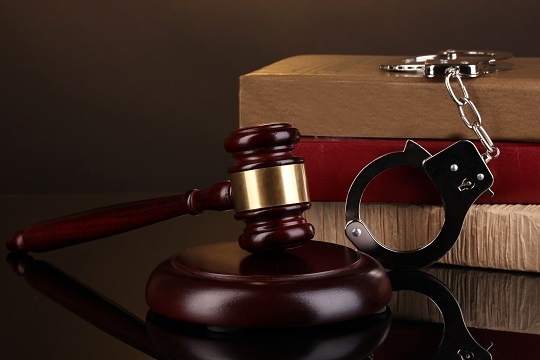 We will contact bail bondsmen for you and connect you with them immediately. If you are having issues with another person and would like to take legal action, you might be wondering, “what is a peace bond?” When an individual makes threatening behavior towards another person, there are a couple of ways that a court can protect that person. 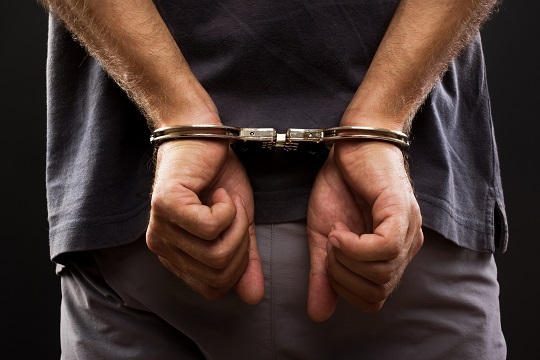 Criminal charges can be filed so that the threatening individual is incarcerated or fined heavily. Peace bonds are an alternative to criminal charges, requiring that the threatening individual keeps the peace with the other person. Oftentimes a peace bond can be filed even after criminal charges have been filed, in exchange for withdrawing the criminal charges. Who should get a peace bond? Peace bonds are most effectively used when individuals have been threatened by others. For example, someone may believe that another person wants to damage their property or hurt their family. Peace bonds allow the threatening individual to remain out of prison, but still prevents an assault by stipulating heavy penalties if the peace bond is broken, such as steep fees and jail time. In order to get a peace bond, you first need to request one from a court system or a law enforcement authority in the threatening individual’s jurisdiction. You’ll have to describe on paper why you believe the threatening individual is a danger to you and will eventually need to go to court to answer questions regarding the situation. At this point, the threatening individual most likely will also be in court so that you may ask each other questions, so that the judge has an appropriate grasp of the situation. If the judge believes there are grounds for granting a peace bond, then you’ll be issued a peace bond with stipulations, such as prohibiting the threatening individual from coming within a certain distance of you. If you are considering applying for a peace bond, it is highly recommended that you consult a bail bondsmen to find out some more information. TalkLocal can do all the work for you, connecting you with a high-quality, local bonding agency that can assist you in just minutes. Whenever anyone is released on bail, the individual is being released from jail using the bail money as collateral to ensure that the individuals continue to return for trial and other court appearances. However, when individuals released on bail instead choose to skip trial to avoid prosecution or imprisonment, they are “jumping bail”. The consequences of jumping bail can be severe, both legally and financially. The first consequence of jumping bail is that the posted bail money is given up. Most of the time the defendant only pays a portion of the bail money initially, using property as collateral for the rest of the bond. However, when the defendant jumps bail, the bail bondsman who is usually responsible for the accused bail money needs to have the bail money repaid. As a result, the bail bondsman can legally offer a bounty for the capture and return of the bail jumper. Bounty hunters will track down the defendant to bring them back into court for that bounty. Jumping bail is also a felony in the United States and additional charges can be filed that can exacerbate the defendant’s status. Bail is then revoked and the court will also produce an arrest warrant for the defendant. If the courts discover that the defendant has already taken steps towards evading the court experience (such as buying airplane tickets with departure dates scheduled before the court appearance), the courts may prematurely charge the defendant with jumping bail. Even if the defendant believes that the trial location or time is unfair, jumping bail is not in the best interests of the defendant. Rather, the defendant should speak with his or her lawyer to see whether they can delay or change the trial venue; defendants are entitled to due process of the law. If you’re unsure about the bail process or need to discuss the situation with a lawyer or a bail bondsman, use TalkLocal to find a high-quality, local professional in just minutes. When you get arrested you may have the option of getting released from being held in jail if you pay bail. Bail is a deposit paid to the courts on the promise that you will return for your trial unless you want to forfeit the money paid. Sometimes you may want to use bail bonds to do so. Bail bonds are slightly more complicated than just paying in cash but they may be worth it. When you want to use a bail bond you have to go through a bail bonding agency and use a bail bondsman. They will charge you an extra fee to release someone from jail. The fee is usually 10% of the bail fee. This is a non-refundable amount, even when the suspect is not guilty. While it seems to be more expensive to use bail bonds it is sometimes necessary because people don’t always have the amount they need on hand to pay for bail. The way a bail bond works is that the bondsman will take out a security, but not on their own name. It will be against the suspect’s assets so that the bail is completely covered. In the event that the person who needs bail doesn’t have enough assets to hold against the bond, the bondsman can take out the bail bond against assets of any other person who wants to help out. How Does a Bondsman Get Paid? The bail bondsman does not need to be paid immediately. When the suspect goes to trial is when the bondsman looks to collect. This is done so that the person who was arrested has time to gather the money. If you do not go to court on your assigned trial date the bondsman can hire a bounty hunter to come after you for the money. They can also claim ownership of the assets that backed the bail bond. Using bail bonds is a way to quickly get out of jail that you simply have to pay back later. If you have more questions about your bail bonds you should try to talk to a bonding agency. The easiest, fastest way to get in contact with reliable, local bonding agencies is to use TalkLocal. Just tell us what you need, where you are located, and your availability, and we’ll connect you with up to three professionals in just minutes! Finding a bail bondsman can be simple if you know where to look. And finding a reliable bail-bonding agency can be as easy as finding a reliable service company. In general, bail bondsman are easy to deal with — it’s just a matter of knowing how to find a bail bondsman. The quickest way to find a bail bondsman is to go through your local phone book’s business pages and look for the bail bondsman section. Contacting multiple agencies is your best bet if you want to look around for the cheapest price. Collect some of these numbers from the phone book and start calling around. – What their fees are (and if there are any hidden fees). – What their process is. – What jurisdictions they work within. – The degree of help that is offered to guide you through the judicial system. There are a few situations which may raise an alarm with regards to the bail-bonding agency. A bail bondsman who loiters around courtrooms trying to solicit business should be avoided. A desperate bondsman is good for no one. Others may pay commissions to jail inmates who ‘refer’ others to a certain bail-bonding agency. You should avoid these, as their tactics are to simply prey on people in desperate situations. Instead, the bail bonding agencies you want to look for are the ones who are licensed by the state and not part of any suspicious affiliations. In general, smaller agencies provide better customer service as they are providing bail bonds for less people. Before entering into a contract, make sure you are clear on all of the bonding agency’s policies and procedures, and ask for help if you need any. Let Us Find A Bail Bondsman For You! If you or someone you know requires the services of a bail bondsman, consider using TalkLocal to find a top-quality bail bondsman in your area. TalkLocal is a FREE service that connects you with the best professionals in just a few minutes. Just enter in your specific problem, location, and availability, and TalkLocal will contact multiple agencies who will then call YOU directly, ready to help. Save time, stress, and pain from searching for the right, most affordable bail bondsman, and let TalkLocal do it for you! If you are in the process of building a contract with another person or a company, you might be asking “what exactly is a surety bond?” A surety bond, in its simplest terms, is a contract between at least three parties: the obligee, the principal, and the surety. 1. The obligee (such as a bank) is the recipient of an obligation, or the fulfillment of a contract. 2. The principal (such as an individual) is the primary party who is to perform the obligation, or fulfill the contract. 3. The surety (such as a bonding agency) is the party that assures that the principal can perform the agreed-to task. The purpose of a surety bond is to provide credibility to the principal. For example, if you are applying for a loan from a bank, you would be entering into a contract with that bank. In this example, you are the principal, and the bank is the obligee. The bank may not believe that you have sufficient income or assets to pay back the loan. So you find a bonding agency that sells surety bonds. The bonding agency (now the surety) will back you up, telling the bank that you are capable of repaying the loan. You will pay the bonding agency a premium, in exchange for this back-up. If you fail to repay the loan, the bonding agency will repay it for you. With the support of a bonding agency, the bank will feel confident that you will repay the loan, and give you the desired loan. This can also be applied to bail bonds, where a bonding agency ensures the courts that you will pay your bail. You, as the principal, will need to purchase a surety bond from a bonding agency, which would act as your surety. You pay for the bond, and the agency steps in and supports your contract with the obligee. A bonding agency will often run a credit check and verify you income and assets, so be prepared to give this information. Where Do I Find A Binding Agency? If you need a surety bond, simply submit a service request with TalkLocal. Just tell us your what you need, where you are, and when you are available, and we will connect you with up to three bonding agencies in your area who will be able to help you out. Our service is fast, easy, and free!